I've been on a low-buy for about 3 years... That's when my stash got to a "considerable" size mostly with the help of beauty boxes which I had SO MUCH FUN with. I tried most of the ones that were available in summer 2012 and was subbed to them for about 6 months... from Glym, Glossybox, Julep, Natural Beauty Box, Topbox, Ipsy... 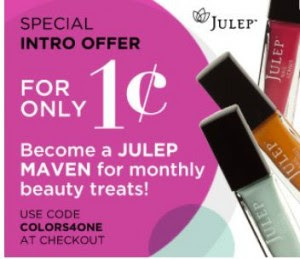 I had a relapse on Ipsy once or twice and I've purchased one or two Julep boxes since then too...! I definitely recommend trying a couple of these if you don't have very much makeup and want a variety of products you probably (as a person who doesn't have a lot of makeup) wouldn't buy yourself, for a very very decent price! Must set a budget per "shopping period". I've had 90$ summer budget, a 120$ winter/holiday budget, that type of thing. Some seasons are not tempting, so there is no budget set on those and I simply don't buy!